Let me start by saying that I have nothing against community supplies in the classroom. Glue sticks, notebook paper, etc. But I will never manage community pencils in my class again. All of my career I have taught intermediate grades, 4th and 5th grade. Part of teaching this grade level is helping my students learn responsibility for their belongings. Every year, on the first day of school, I have my new students turn in their Kleenex, notebook paper, and glue sticks to be used as community supplies. I've always had them keep their pencils to manage on their own. The routine in my class was that students sharpened their pencils during their "personal business" times and were responsible for having their pencils and other writing utensils reading for class. This year I tried something new. I found a product on TpT that seemed like a great way to make sure students always had a pencil and also reward them for being responsible and keeping track of their supplies. Before school started I purchased pencil pouches for 35 students. I organized pencils, erasers, and editing pens inside the pouches. The first day of school I gave each student a kit and explained how they would turn the pouches in each week. Student helpers would check the pouches and replace dull pencils with sharp ones and put a reward in the pouch for students who had all of the materials required. Great plan right? Not so much... at least not for me. The pencil pouches became a hassle. The student helpers were never able to complete the task of checking all of the pencils and I ended up dealing with them week after week. By winter break I had had enough. I bought each of my students a set of personalized pencils for Christmas and told the kiddos that we would be phasing out pencil pouches and they would now be responsible for sharpening and keeping track of their own pencils. 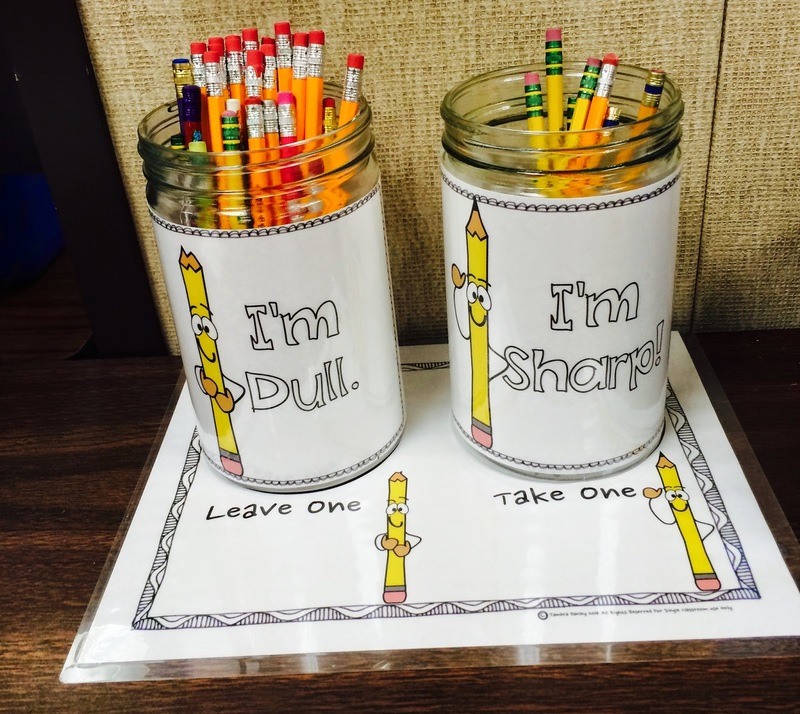 I added sharp and dull pencil containers so that students, during work time, could trade in a dull pencil for a sharp one if needed. The problem became that students would take the sharp pencils, but not turn in the dull ones to replace the one they took. I started finding pencils left around in the most random of places. It became clear to me that students did not feel a sense of personal responsibility for their pencils. If they didn't have a pencil, because they left it sitting around, they could easily find one in the "sharp" pencil container. Students constantly complained of "not having a pencil" while the number of pencils in the "sloppy box" kept piling up. It is now June and I am reflecting on what worked and what didn't work this year. One of my regrets is that I don't feel like I taught my students how to take responsibility for their belongings. I don't feel like I was consistent with them throughout the year. I'm disappointed that I took a step away from what had been working for me for 14 years to try something new and it failed. I don't blame the product. Maybe for another teacher, one with more time, less students, etc. this supply management technique would be wonderful. It just didn't work for me. One of the things I love about being an educator is that each year I get a fresh start. This fall I NOT be managing student pencils and I feel really good about that! 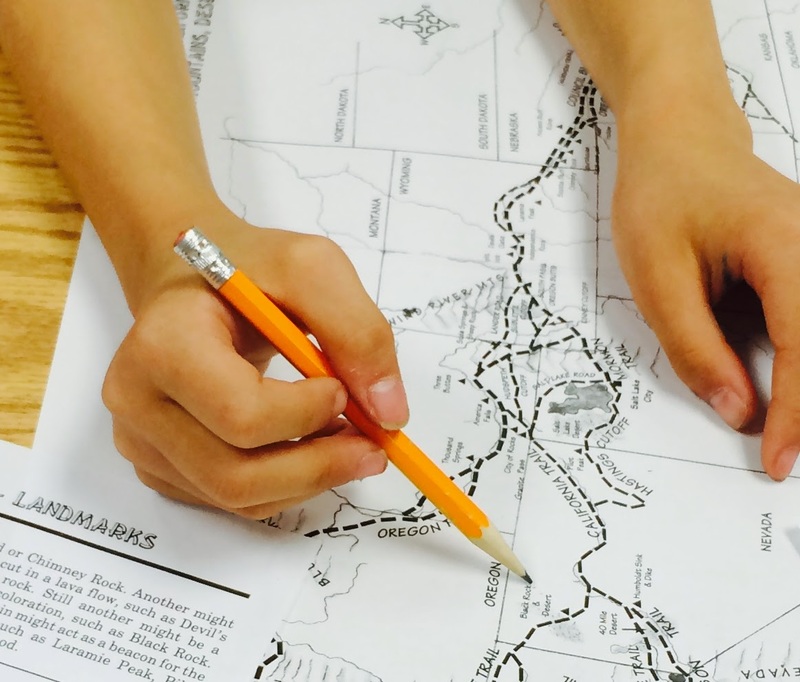 I'd love to hear about your experience with managing supplies in your classroom. I know many teachers are successful with community supplies. What do you do that makes it work for you? Please leave a comment if you'd like to share! Now, I just let them keep their supplies and if I find that too many pencils in a crayon box is too much for some students then I collect them and set them aside for them to get as needed. Halfway through the year when they need more pencils then I collect them and put the aside for them. It's usually for only 3-5 students so it isn't too much of a hassle. I've done this for 2 years and it's been ok. I remember feeling similarly about pencils and management of pencils. I thought if I taught a huge unit on pencils in the fall, how they're made, maybe have a day where there are NONE to really realize how much we depend on them, a pencil president, who really cares and can help be responsible, I don't know. I love the pouch idea, but I get it-takes a lot of management on your part when you already have so much to do!